An Extremely Modern and Contemporary Design Light Blue Color Antique American Hooked Rug, Country Of Origin / Rugs Type: Antique American Rugs, Circa Date: 1900 – This beautiful light blue antique American hooked rug was produced in the USA around the turn of the 20th century. The muted blue background, coupled with vibrant jewel tones, creates a contemporary piece that works well in modern designs, as well as retro collections. 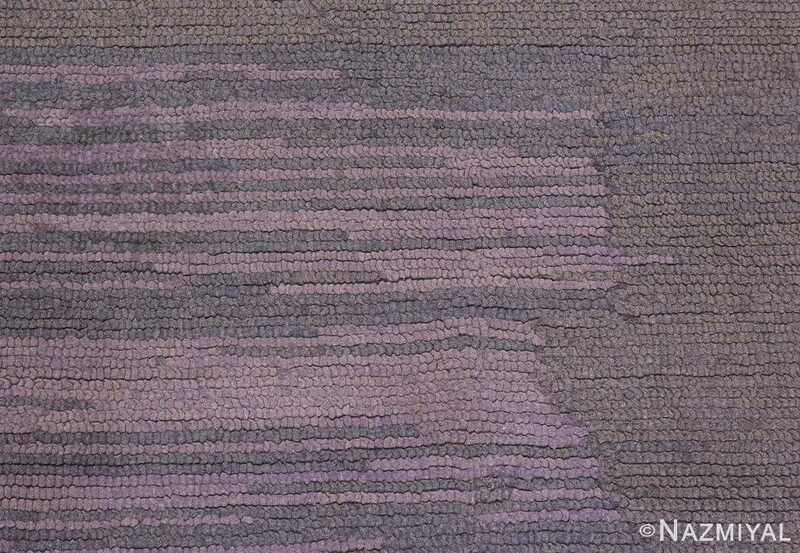 This antique American rug is a unique glimpse into the work produced during the Arts and Crafts movement. 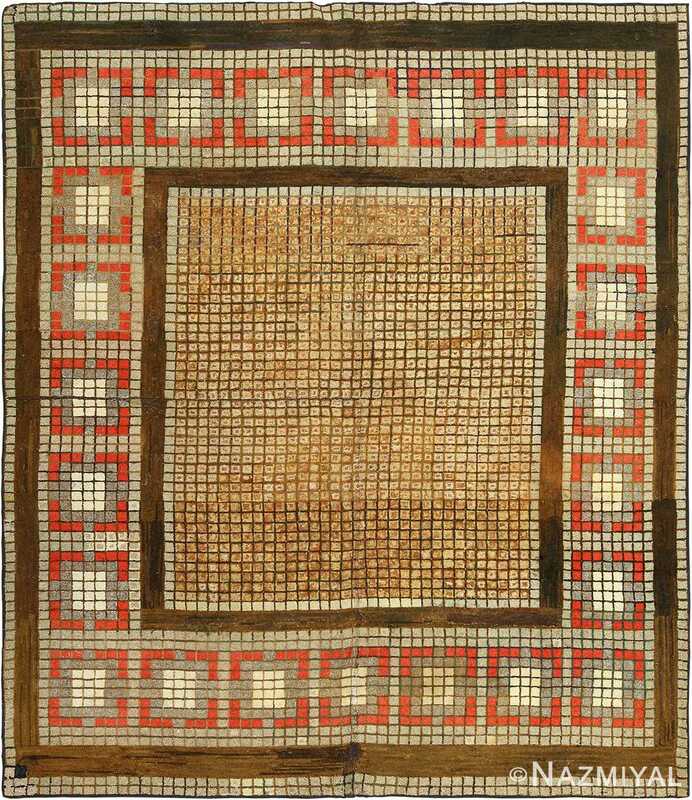 It is easy to distinguish the center points of horizontal and vertical symmetry in this antique rug. 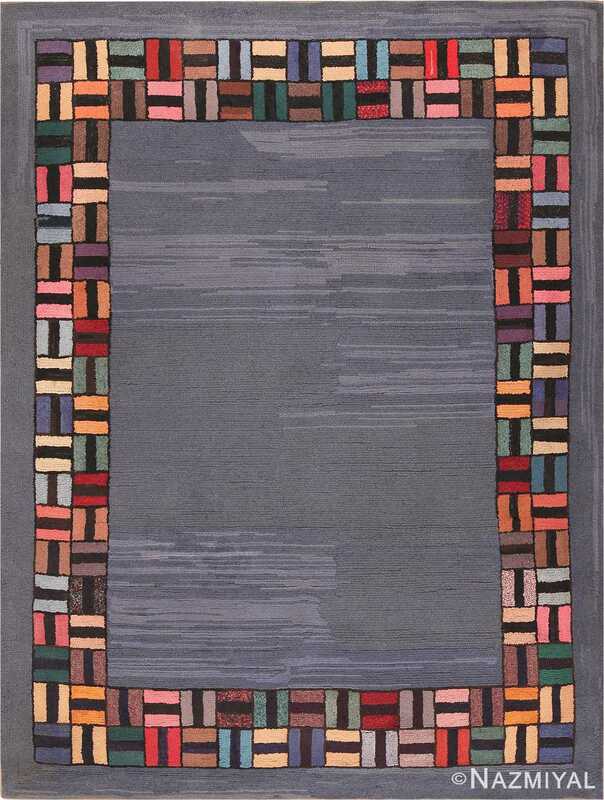 The antique rug from America uses the square to provide a sense of organization and balance. The artist used a variety of colors and tones in the border of the rug, which forms the main focal point of the antique American Hooked carpet. This is an interesting use of form in that the central design is not the main attraction. Rather, the colorful border is the element that is meant to draw the eye. The artist chose bright colors, which one would not normally pair. 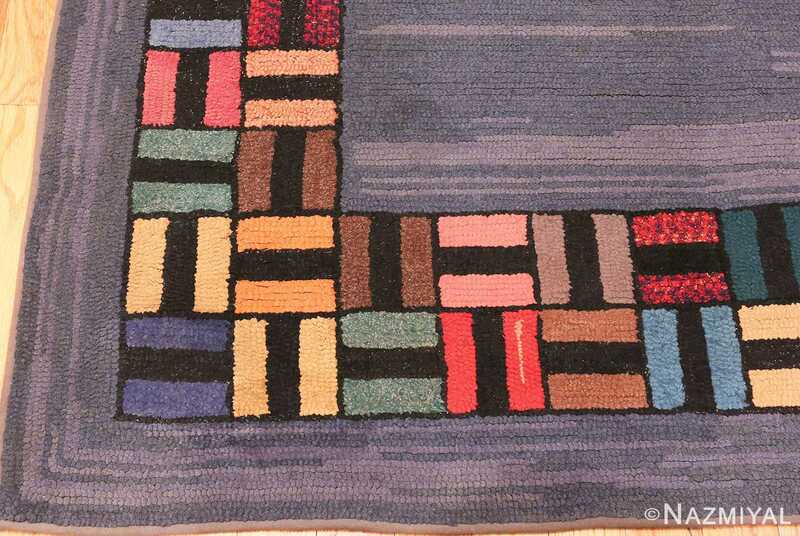 The use of the central black band down the center of each square creates a theme that ties the different colored squares together. 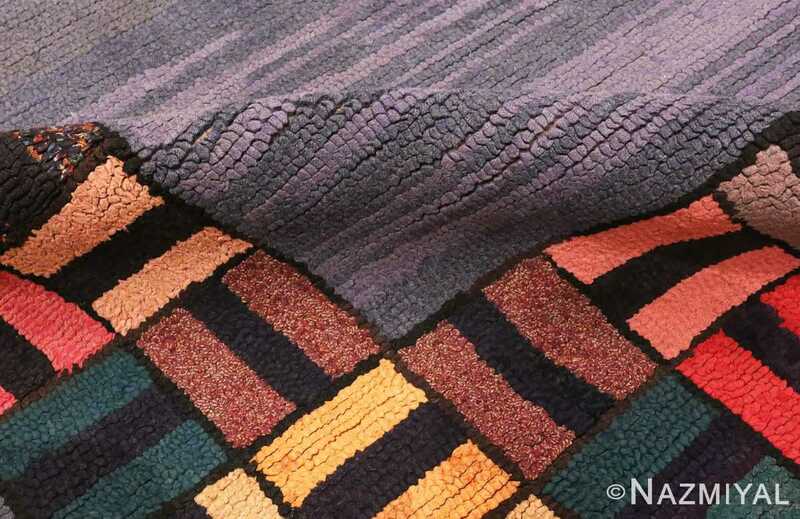 It has the feeling of a patchwork quilt in this respect. 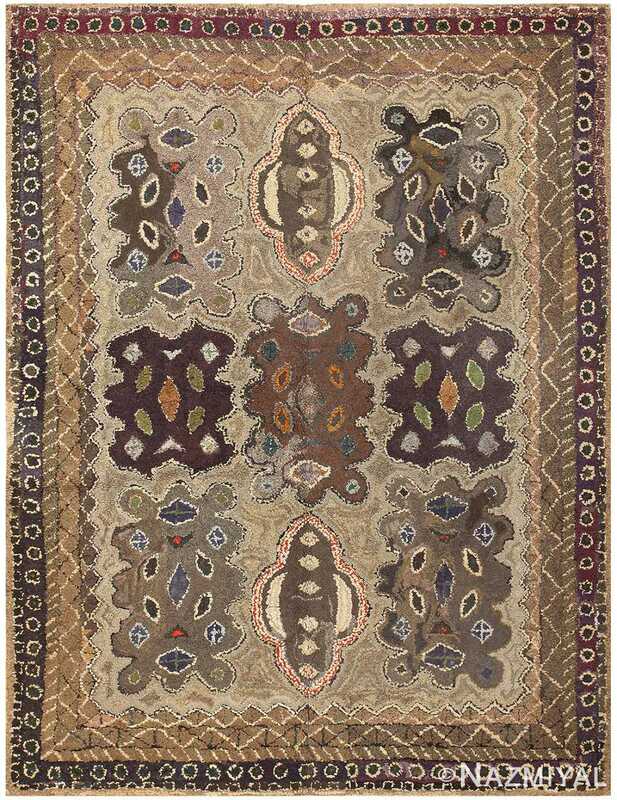 The artist created interest in the field of the antique Hooked American rug by using different tones of the same color to provide interest. 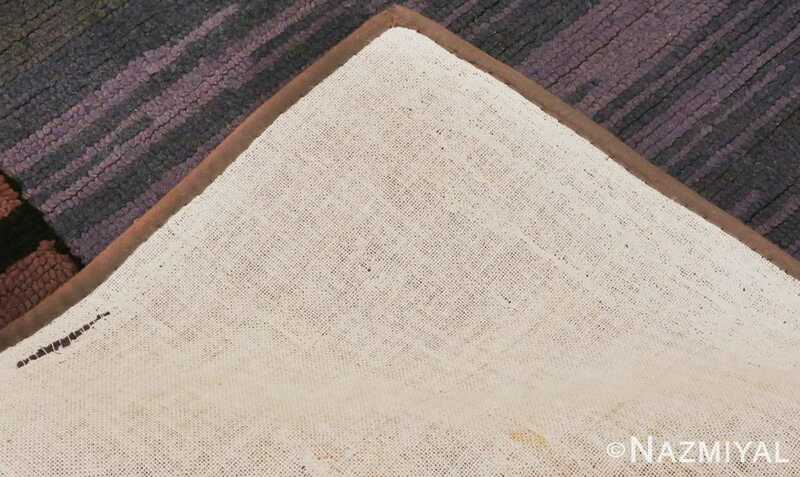 This light blue color background antique American Hooked rug features is fascinating design that would go well with modern Scandinavian, minimalist, or any other design where the vibrant colors could take center stage. 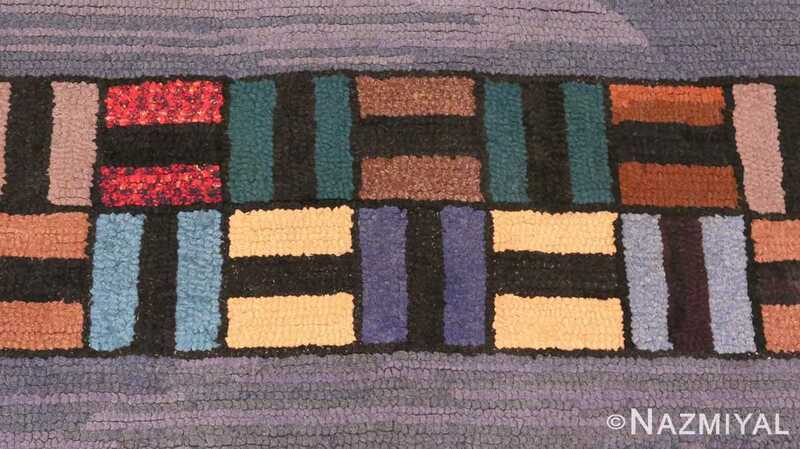 This is a beautiful antique American Hooked rug that combines a retro feel, but also works well with modern aesthetics with just as much ease.. 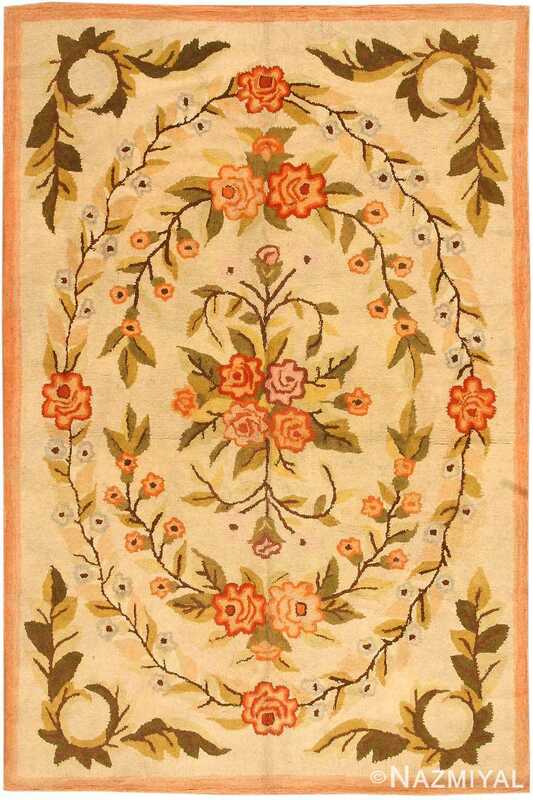 This charming antique hooked rug is distinctively American although its medallion and realistic floral detail is reminiscent of french rug designs.